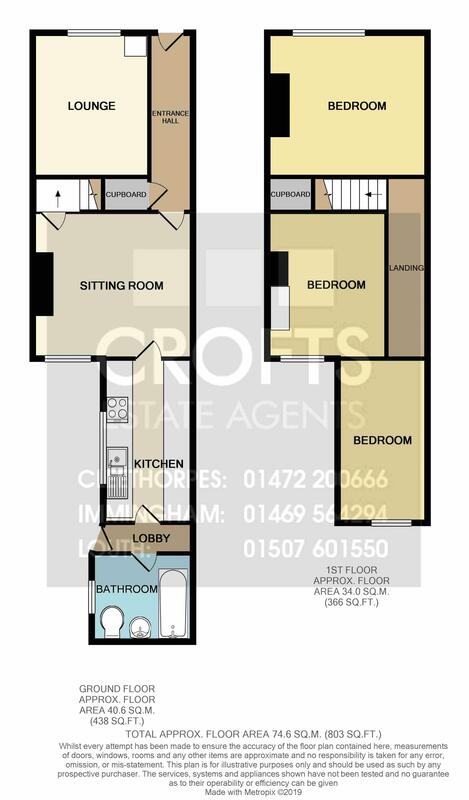 Crofts Estate Agents are pleased to advertise to 'LET' this mid-terraced property which is located within close proximity to the Grimsby Town centre. The ground floor comprises of two serparate reception rooms, kitchen, rear lobby and family bathroom. To the first floor there are three good sized bedrooms, ideal for a family. There is a low maintenance rear garden and the property also benefits from having gas central heating and uPVC double glazing throughout. The property is a short walk away from Grant Thorold Park and good bus transport links to Grimsby and Cleethorpes.